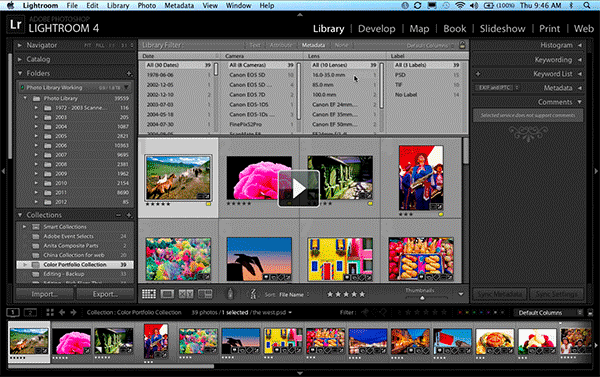 George Jardine has released a new series of video tutorials for Adobe Lightroom 4. This series is a complete rewrite of George’s original Lightroom 3 Library tutorials. The tutorials are a ground up guide for any serious photographer—professional or passionate amateur. As you progress through the tutorials George will take you deeper into nearly every Lightroom Library feature, gently leading you to a solid and complete understanding of the entire professional workflow. The complete series is available form George’s Mulita.com website and at $24.99 is great value. This entry was posted in Adobe, Adobe Photoshop Lightroom, Tutorials, Video. Bookmark the permalink.